What on Earth I have been watching? Here I was expecting a space opera full of action and thrills and got a soap opera where none of the events or actions of the characters make sense. The Shakespearean approach of things also does not help. There is so much dialogue that you will be exhausted after just one hour. And none of what they say is in the least bit compelling. I kept hoping the long conversations would be broken up by some epic space battles to keep things interesting but none of that happens. The few skirmishes that take place are edited in a way that you can't really enjoy the action. Sure the CGI is decent enough but never is it truly impressive. And each time when it looked like things were happening more dialogue ensues. Some silly twists and one neat one are wasted in a story that is heavily flawed and plain boring. 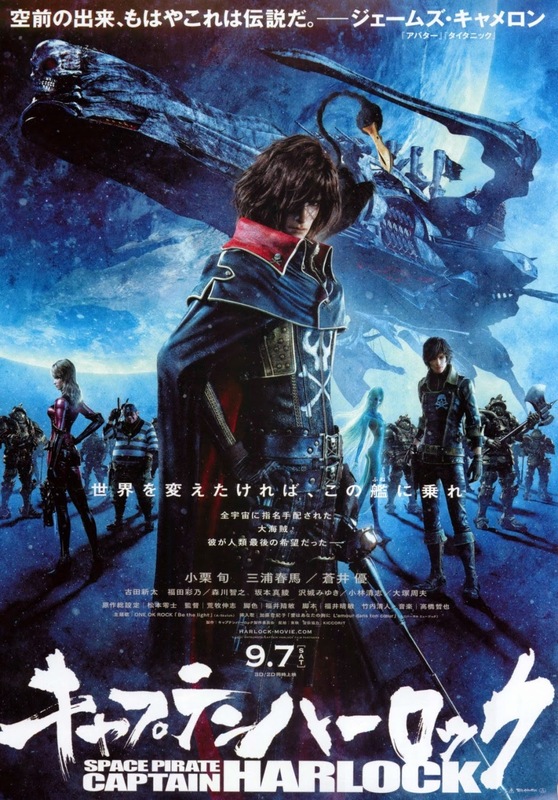 In one of the few reviews on the net I read that Space Pirate Captain Harlock was a lot of fun. I am sorry to say that simply is not the case. It had potential to be but the pretentious bad story and the lack of good action take away that away. Please skip this as you will regret watching this!